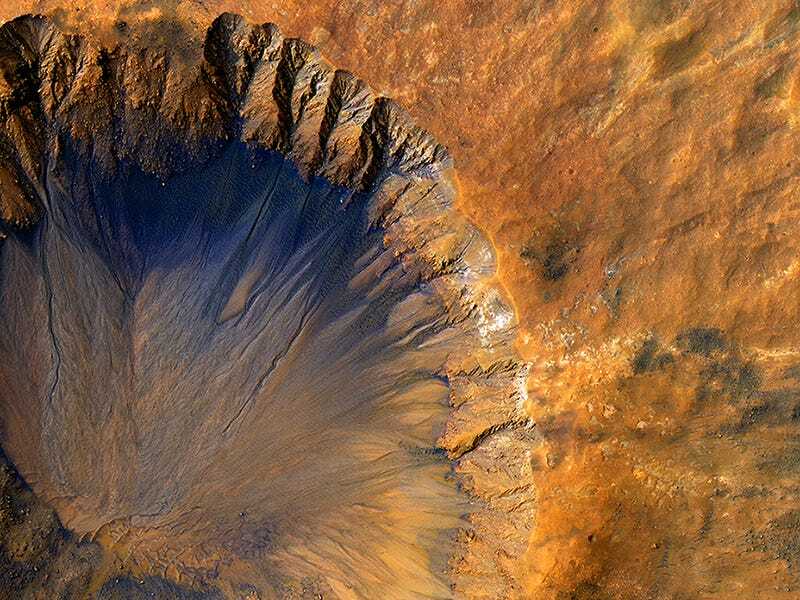 This crater on Mars is so fresh, it still has sharp, clean edges unsoftened by countless landslides. This one-kilometer diameter crater near Sirenum Fossae on Mars isn’t a brand-new impact spotted within hours, but the relative lack of mass wasting events indicate it’s young on geological timescales. Because we expect that weathering and gravity will have their inevitable impact, the crater is being monitored for change over time in the hopes of spotting recent landslides. The steep inner rim is already carved by gullies, with colluvial fans building into tidy fans of rubble along the crater floor.